LIBREVILLE, Gabon, Jan 23 – Sporting agony in the shape of an early elimination from their own Africa Cup of Nations has only added to the other woes facing Gabon, a country already in the midst of a political and economic crisis. “The Africa Cup of Nations is not finished. I encourage all football lovers to enjoy the quality of the remaining matches,” said president Ali Bongo in a statement released following Sunday’s 0-0 draw with central African neighbours Cameroon in Libreville. That result, Gabon’s third draw in as many matches, condemned them to a group-stage exit, something that had not befallen the hosts of the Cup of Nations since Tunisia in 1994. “It was a great derby. I would like to pay tribute to the quality of the performance of our brave Panthers. I would also like to congratulate Cameroon on qualifying for the quarter-finals,” added Bongo, who had attempted to rouse the Gabon side by visiting them at training on Saturday. A last-minute coaching change, a poor build-up and two points dropped in the dying moments of their opening game, a 1-1 draw against Guinea-Bissau, all contributed to Gabon’s poor showing. The Gabon squad, spearheaded by star man Pierre-Emerick Aubameyang, got together later than planned in early January under the orders of a coach who had been hastily appointed. The veteran Spaniard Jose Antonio Camacho was brought in to replace the Portuguese Jorge Costa, sacked in November. But Camacho, who had been out of coaching since ending a stint in charge of China in 2013, does not speak French and was new to Africa. L’Union nevertheless sympathised, saying he “did his best” while laying the blame at the door of the Gabonese federation. Meanwhile, former Real Madrid player Camacho refused to be drawn on his future in the role after Sunday’s match, but meetings with the Federation, Sports Minister Nicole Assele and possibly even President Bongo will soon be scheduled. The Gabon team could certainly do with some stability as they approach the end of their qualifying campaign for the 2018 World Cup, with their next match to come at home to the Ivory Coast in August. Off the field, the usually peaceful host nation has been in some turmoil ever since the violence that followed the contested reelection of Bongo last year. The 40,000-capacity Stade de l’Amitie was just about full for Gabon’s three draws against Guinea-Bissau, Burkina Faso and Cameroon, but some opponents of Bongo and an element of public opinion was not behind the Panthers. “I don’t feel like the Gabonese are unhappy after the team’s elimination. This is serious, as if the country no longer identified with the national team. For the people of Gabon, the Panthers are the team of Ali Bongo. 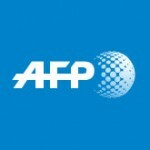 They are happy when they lose,” Jean-Gaspard Ntoutoume, a spokesman for opposition leader Jean Ping, told AFP. “This Cup of Nations has divided people,” one man, Donald, told AFPTV in Franceville, the south-eastern city that is a stronghold of the Bongo family. Others in Franceville said they would have liked to see the money used to finance the Cup of Nations spent on roads instead. Gabon’s exit from the tournament means a return to economic and social reality. Worried about a possible buyout, the 400 staff at the oil company Shell called a halt to their strike after reaching an agreement with management. Meanwhile, having remained silent since the turn of the year, the opposition led by Ping still refuse Bongo’s offer to open political dialogue, and legislative elections are set for July at the latest.